Many people use the terms “sweater” and “sweatshirt” interchangeably, but many people also say they are two different things. Which idea is correct? In this article, we will help you find the answer to this question. Also called “cardigan” or “jumper” in the U.K. Also called a “jersey” in the U.K.
A sweater is a piece of knitted or crocheted upper wear that is designed to keep you warm by covering your arms and torso. Since sweaters are constructed by knitting or crocheting, these garments are soft and elastic. Originally, they were made of wool, which is an outstanding insulator. 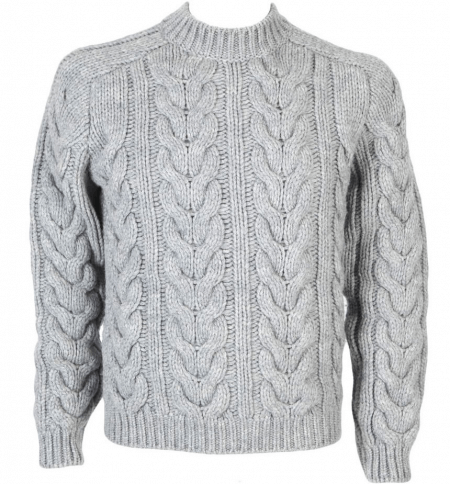 Nowadays, sweaters can be made of other fibers such as cotton or polyester. The front of the sweater can be open (also called “cardigan” in the U.S. and U.K.) or closed (also called “pullover” or “jumper” in the U.K.). The neckline can be a turtleneck, v-neck, or crewneck and the hemline can fall right below the hip or above the hip. There are also sweaters that are long enough to be worn as short dresses for women. The length of the sleeves can vary from three-fourths to short-sleeves to full sleeves. Sweaters can be worn by people of all ages, regardless of the gender. They are versatile and can be worn over another top or next to the skin. Sweaters can be worn with a dress shirt and a tie, or, if long enough, can be worn as a short dress with a belt and tights. They can also be fashionably carried when not worn by knotting around the waist or over the shoulders. A sweatshirt, or “jersey” in the U.K., is a collarless loose upper garment that is typically made of cotton, fleece, or polyester. It may have a closed front or an open front (with zippers), with a hood (also called a “hoodie”) or without a hood. Sweatshirts are commonly worn with sweatpants to form a sweatsuit, which is an ideal exercise outfit that guarantees perspiration. It can also be worn as a casual or leisure outfit. What, then, is the difference between a sweater and a sweatshirt? Both sweater and sweatshirt are made to keep you warm; however, a sweater is constructed by knitting or crocheting, whereas a sweatshirt is constructed in the way that sports attire is made. Another difference between the two is that, although they can be both made using wool, cotton, or polyester, a sweater is softer and more elastic because it is either knitted or crocheted. A sweatshirt is not that elastic but it is soft. Its inside lining has a fluffy nap. A sweater is more versatile than a sweatshirt. It can be worn as a casual or dressy outfit. It can be worn with a dress shirt and a tie or as a short dress for women. 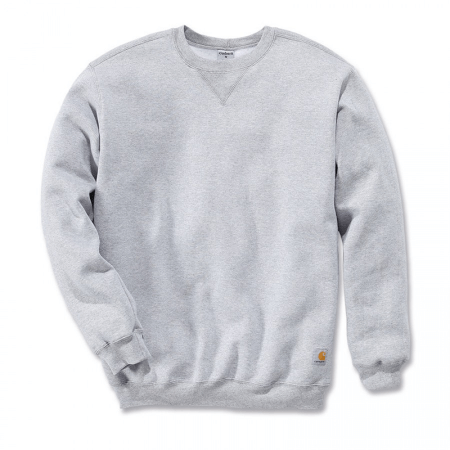 A sweatshirt, on the other hand, has a casual or sporty look and is more commonly worn with sweatpants as exercise wear, although it can also be leisurewear. Additionally, there are hundreds of sweater designs available on the market today (closed front, open front, v-neck, turtleneck, short, long, short-sleeved, long-sleeved, etc.). However, most sweatshirts have nearly the same pattern or silhouette. The only variation is that they may or may not have a hood or zipped front.